Collection of short bios represents a lifelong love of popular music and the artists and record companies that made them. The information has been collected in good faith and researched from reputable sources. I hope you have the opportunity to enjoy the music (and buy the vinyls, CDs or download from iTunes and Spotify). I am grateful to YouTube for the opportunity to share. The origins of hip hop share provenance with clog dancing as a street dance art form. Clogging was brought to the US in the mid nineteenth century and local performers refined the steps into tap . Tap dancing was originally performed as an accompaniment to song and the percussive and rhythmic patterns produced by the snags heightened effectiveness. Movement grew larger as rhythms grew more intricate and greater emphasis was placed on elements of dance composition and design. Bill "Bojangles" Robinson, refined the minstrel tradition, and Fred Astaire made ‘hoofing’ a modern art form and corner stone of Hip Hop. Break dancing like Rap are forms of flyting or intense (verbal) jousting common in in 16th century Scotland. Flyting was one step away from an actual rumble and is thought to have been used by Scottish slave drivers to encourage their human cargo not to physically harm each other. Feuding street gangs replaced flyting with Brooklyn uprock, a skilled choreography involving fancy footwork, shuffles, hitting motions, and movements that mimic fighting. The winner of the preliminary rocking decided where the real fight would be. Some authorities also believe uprock was influenced by an Afro-Brazilian martial arts called Capoeira. The kata describes a stylized dance incorporating aggressive combat movements performed to music. In any event uprock was quickly replaced with toprock because of its aggressive gang association. 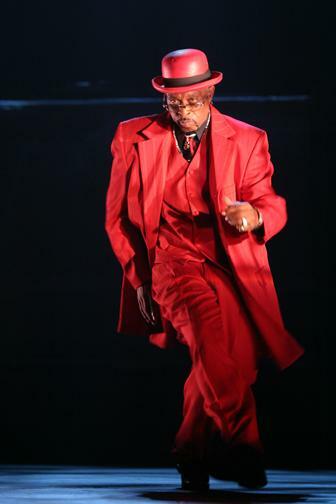 Toprock describes fancy footwork performed while standing up and is used as a prelude before transitioning into other dance moves performed on the floor. The inspiration for Breakdancing is thought to be based on the choreography of James Brown on "Get on the Good Foot". People loved to mimicked the singer’s antics at parties. By mixing recorded sounds Clive Campbell (aka) DJ Kool Herc developed the Merry-Go-Round technique with twin turntables to extend the fundamental vibrating loop at the heart of a record (the break). A break is a musical interlude during a song where the singing stops and the percussive rhythms are the most aggressive. He played a break on one turntable, then repeated the same break on the second turntable as soon as the first was finished. He looped these records one after the other in order to extend the break as long as he wanted. It was during these times that the dancers, later known as break-boys or b-boys, performed what is known as breaking. By the 70s young people were dancing to New York based Black and Latino Americans uprock and break (dancing); and West Coast funk styles like locking, roboting, boogaloo, and popping. Although these dance styles were widely different they were grouped together as the dance phenomenon i.e. hip hop. The West Coast Funk styles predated breaking by almost a decade and were danced to funk music rather than hip-hop music. Boogaloo was a style of music which started a fad dance in the 60s. 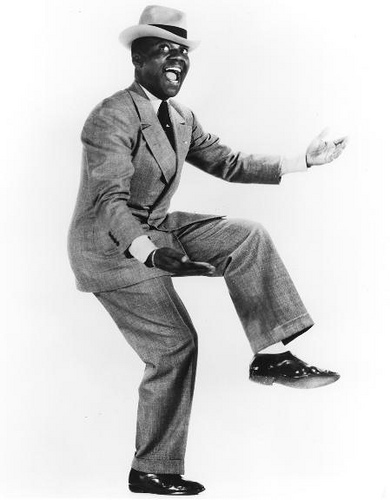 Later it became a dance style when Sam "Boogaloo Sam" Solomon (The Electric Boogaloos) started performing it in public venues. As a dance style, it is characterized by rolling hip, knee, and head movements as if the body has no bones. Electric boogaloo became the signature dance style of The Electric Boogaloos. Don "Campbellock" Campbell (The Lockers) is credited with creating locking in 1973 in Los Angeles. According to legend he developed the dance style accidentally while pausing in between dance moves when trying to remember how to do the Funky Chicken. Locking is characterized by consistently freezing or "locking" in place while dancing. 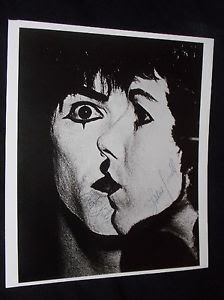 Charles "Charles Robot" Washington (The Lockers) was inspired to create roboting after he saw a mime artist named Robert Shields in 1969. Charles first performed roboting on Soul Train in 1971 but two years later The Jackson 5 performed "Dancing Machine" on Soul Train, which ensured the dance’s popularity . Although popping cannot be traced to any contemporary person or crew, most believe it has similarities to the style of professional dancer Earl "Snake Hips" Tucker . 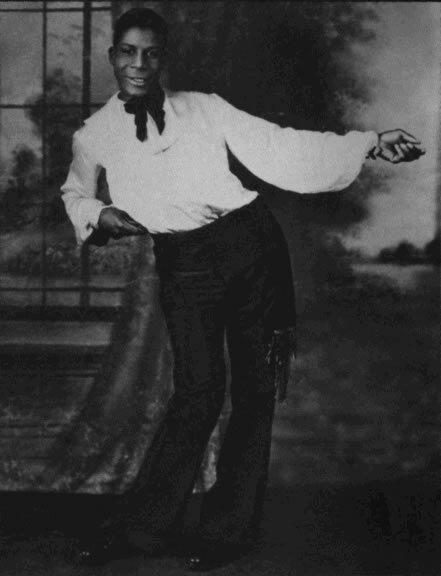 In the 1920s he was a regular at the Cotton Club in Harlem. The popping technique involves quickly contracting and relaxing muscles to cause a jerk in the dancer's body. The most recognizable form of popping is the backslide or moonwalk. Cab Calloway performed the backslide in 1932, but the most famous version was done by Michael Jackson in 1983. Different cities have different variations on the dance and popping today is an umbrella term to include other techniques such as ticking, liquid, tutting, waving, gliding, twisto-flex, and sliding. 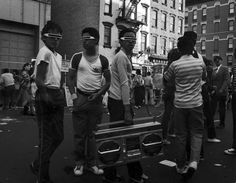 The zeitgeist of Hip hop included many influences including the ghetto blaster, popularity of martial arts films, televised gymnastics, and the formation of dance crews. Most hip hop social dances were short-lived but one of the most popular was the Cabbage Patch. The rap group Gucci Crew II created the dance and introduced it in their 1987 song of the same name, "The Cabbage Patch". The Running Man was another social dance which enjoyed vogue and had been created by Paula Abdul. Janet Jackson popularized the dance when she performed it in her 1989 music video "Rhythm Nation", and rapper MC Hammer kept the fervor going when he started to do the Running Man in his performances. In 1990, rapper MC Hammer created the Hammer dance and popularized it in his music video "U Can't Touch This". Newer social dances such as the Cha Cha Slide (1996), the Cupid Shuffle and Soulja Boy also caught on. These are examples of urban line dances created from hip-hop songs of the same name and known more widely as Electric Slide. The Cha Cha Slide, Cupid Shuffle, and the Soulja Boy are always performed to their respective songs. The Electric Slide is always performed to the song "Electric Boogie" by Marcia Griffiths. Each year new dance steps are added and artists use social media like YouTube to spread the word. No self-respecting rapper would be would designer trainers with many crews sponsored over the decades by large shoe companies.Celebrity endorsement coupled with support from ‘medical experts’ enhanced sales of the latest footwear. The major shoe companies’ marketing is firmly targeted towards inner city youth, mainly Afro American, Hispanic or Asians. The shelf life of designs is very short and rarely lasts three months, which ogten corresponds to the length of the social dance craze. Rappers, Hip Hoppers and sports personalities extol the virtues of being cool in them and peer pressure ensures parents part with enormous amounts of money to get the latest styles. Shoes which have been developed for the extreme, street sports like skate boarding are the new elite, worn by all ravers. CameronK by Cameron Kippen is licensed under a Creative Commons Attribution 4.0 International License. Disclaimer: Reliance on information, material, advice, or other linked or recommended resources, received from Cameron Kippen, shall be at your sole risk, and Cameron Kippen assumes no responsibility for any errors, omissions, or damages arising. Users of this website are encouraged to confirm information received with other sources, and to seek local qualified advice if embarking on any actions that could carry personal or organisational liabilities. Please retain this notice on all copies. © cameron kippen 2019. Copyright Disclaimer Under Section 107 of the Copyright Act 1976, allowance is made for "fair use" for purposes such as criticism, comment, news reporting, teaching, scholarship, and research. Fair use is a use permitted by copyright statute that might otherwise be infringing. Non-profit, educational or personal use tips the balance in favor of fair use.